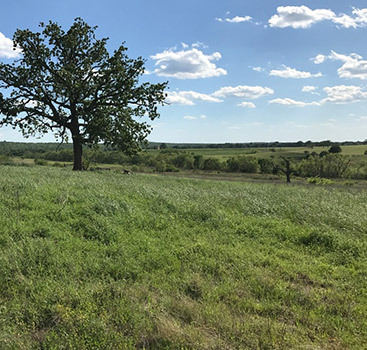 People from all over the country (and abroad) are looking to buy rural property, and with the scarcity of vacant land in some regions, many people aren’t too particular about where they find their land. 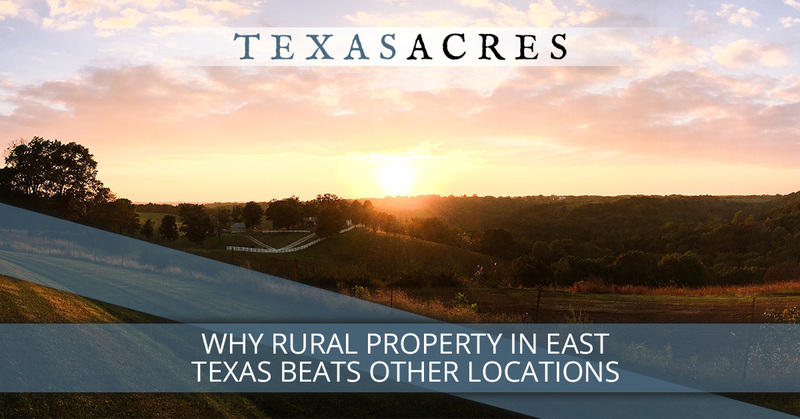 However, before you come to the conclusion that “any piece of property, anywhere,” is good enough for you, check out these reasons why buying acreage in East Texas is an exceptional choice among all the other options. OK, let’s get this one out of the way right off the bat. Yes, it can get hot and humid in Texas. But that doesn’t mean that the weather is a deterrent. That’s what air conditioning is for. And when you’re buying rural property, the Texas climate is actually a benefit to being able to do useful things with your land. Most notably, the growing season is longer than in more northern climates. And if the grid were ever to go down, it would be better to endure a bit of sweat than to freeze to death on your property in Montana. There is a lot of cheap acreage in the western United States, but here’s the problem: the land is practically unusable due to the lack of rainfall. If you buy land in Arizona, Colorado, or Wyoming, for instance, you’ll be shaking your head, asking, “What kind of barbarity is this? How much does water cost?” No matter what you want to do with your land, you’ll need water. And the easiest way to get that water is to live in a place where it falls from the sky on a regular basis. Texas is well known for its friendly people, and if you’re looking for a place to live where you are surrounded by happy, easy-going people, you should choose Texas. The stereotype of Southern Hospitality is alive and well here in Texas, without some of the clannishness that you might find in rural areas in other states. 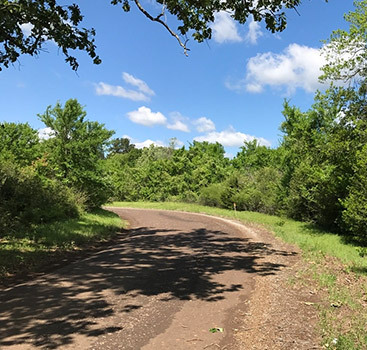 Rural properties in East Texas are still available for affordable prices, meaning that, even if you’re not rolling in wealth, you can still claim a little piece of earth (or is it heaven?) to call your own. While there are a few places that you can get a cheaper price per acre, you probably won’t get land that’s as usable. It’ll either be too steep, too dry, or otherwise undesirable. 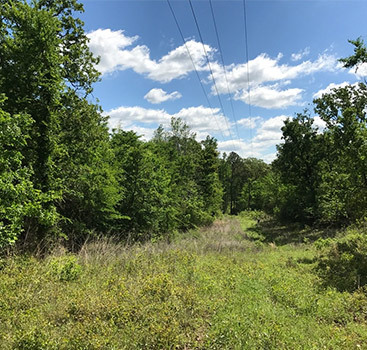 You get a great combination of price and value when you buy land in East Texas. Everyone needs access to a major, international airport once in a while. It’s also nice to be able to shop at huge stores some of the time to get hard-to-find items. And even if you’re a reclusive introvert who would be perfectly content to never again set foot outside the boundaries of your property, it’s not a bad idea to have a world-class hospital not too far away if you ever get sick. The great thing about Texas is that even the rural areas are still within reasonable striking distance of major cities with all the amenities when you really need them. We field inquiries from people all over the country who are looking for their dream property, and you’ll be sure to love it here, too. Browse our inventory of owner-financed land today, and contact us to start the buying process.